Thu., Feb. 7, 2019, 11:09 p.m.
BLOOMINGTON, Ind. –Jordan Bohannon matched his season high with 25 points Thursday and scored the last 11 for No. 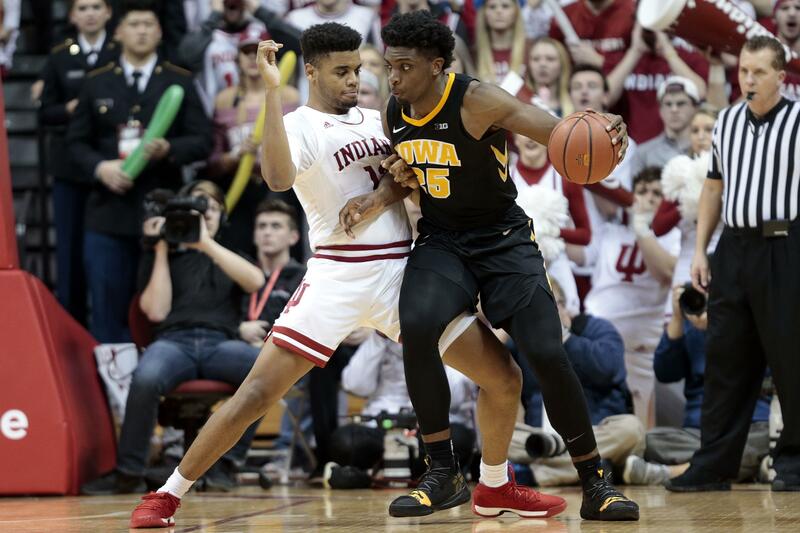 20 Iowa as the Hawkeyes held on for a 77-72 victory at Indiana. ORLANDO, Fla. (AP) – Corey Davis Jr. scored 26 points on 8-for-13 shooting and Houston had another strong defensive effort to beat Central Florida. MEMPHIS, Tenn. – Jarron Cumberland scored 17 points and keyed a late rally as Cincinnati overcame a poor shooting night to beat the Memphis Tigers. The Cincinnati lead was 58-55 with 2 1/2 minutes left, when Cumberland scored the next nine Bearcat points to provide a buffer Memphis couldn’t overcome in the closing minute. Published: Feb. 7, 2019, 11:09 p.m.